CNAS, SGS, TUV, CSA etc. 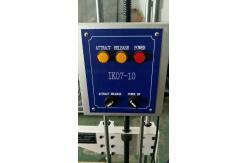 The vertical impact testing machine is used to test the mechanical strength test of the shell of the electric appliance for house hold and similar purpose, as well as test drop impact resistance of the lamp. VH-1 IK07-IK10 vertical impact hammer test apparatus is designed according to IEC-60068-2-75 Test Ehc <Environmental testing - Part 2: Tests - Test Eh: Hammer tests>. It consists of striking element which falls freely from rest through a vertical height, on to the specimen surface held in a horizontal plane and guide tube. 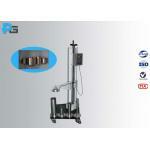 The equipment is released by electromagnet to ensure instantaneous release and vertical drop. 1. 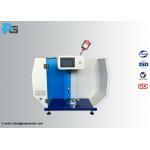 What is the warranty period of the vertical impact testing machine? 2. Can you provide third-lab calibration certificate? Answer: Yes, the equipment can send to the third-labs authorized by ISO17025 and get the calibration certificate, but the buyer should undertake the charges. 3. 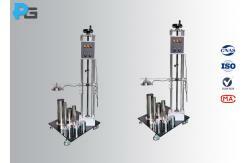 Which energy shall we choose for the vertical impact testing machine? Answer: There are 5 energies for your selection, 2J, 5J, 10J,20J and 50J. 1. PEGO is professional on electrical lab testing equipment, our goal is to provide our customers with better price, better quality and better service. 2. 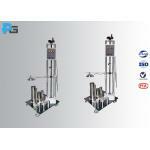 Customized Service: We can help our customers to design and develop new equipment according to their requirement. 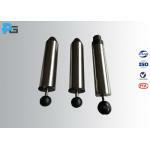 We are flexible and capable Supplier. 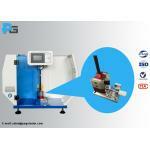 3.Excellent Quality: 12 months warranty, 100% guarantee test before delivery. 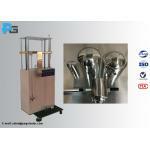 And all our products can pass the third-lab calibration which is authorized by ISO17025. 5. Quick Delivery: Our company provides just-in-time delivery, and our freight forwarder can provide transportation services at the most reasonable price to solve your worries.